In the heart of bustling Midtown on a quiet street of historic homes Amber House offers a perfect blend of elegance comfort and hospitality. Marble-tiled baths some with soaking claw foot tubs for two plush bathrobes phones flat screen TV DVD WiFi. A delicious breakfast is served in your room dining room or the garden. 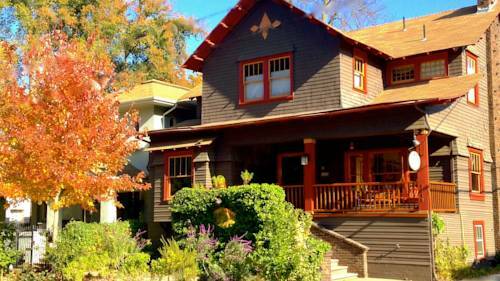 Two Beautifully restored historic homes on a quiet tree lined street right in the heart of midtown Sacramento.